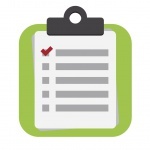 The Home Usability Program Plan will help you identify your home usability problems, set a home usability goal and list personal and community resources (your home usability network). The final section you outline a step by step work plan to ensure that your project stays on track. Download or print off the plan here and keep it handy as you move through the program. You will be instructed to complete sections of the plan as you go along. You can either print off the plan and write in your answers, or you can complete the form electronically. Background information: Now that you have downloaded the HUPP, the first step is to answer some basic questions about yourself and your housing situation. Go through the questions on pages 1 and 2 with the CIL Community Living Specialist. Your answers are important for identifying resources and strategies for addressing your home usability needs. A home visit: depending on your home usability needs, it may be appropriate to arrange for a home visit. A home visit allows for a more in depth conversation about your home usability problems. This visit could also include an additional home assessment by a professional physical or occupational therapist. Have you completed pages 1 and 2 of your HUPP? Then it’s time to move on!